We discuss the design, creation and implementation of an instructional game for use in a high school poetry class following a commitment to an educational game design principle of alignment. We studied groups of instructional designers and an interactive fiction computer game they built. The game was implemented in a 9th grade English classroom to see if the designed alignments were realized in the classroom. Results from observations and collected design artifacts suggest the alignment theory created extra challenges and rewards for the game designers. They encountered tensions between creating an exciting game-like atmosphere with inventive programming techniques while remaining loyal to the narrative structure and instructional goals. Game-play transcripts and interviews with middle school participants offered additional insights into the successes and failures of intentional efforts to bring about educational game alignment. B. E. C. T. A. (2001). Computer games in education project. Computer games in education project. Retrieved July 15, 2005, from http://www.becta.org.uk/research/research.cfm?section=1&id=2826. Deshrill, M. (2004). Interview with Nick Montfort. Retrieved August 16, 2005, from http://www.eboredom.20m.com/features/interviews/montfort1.html. Granade, S. (2005). Introducing interactive fiction. Retrieved October 15, 2005, from http://brasslantern.org/beginners/introif.html. Scoresby, J., & Shelton, B. E. (2010). 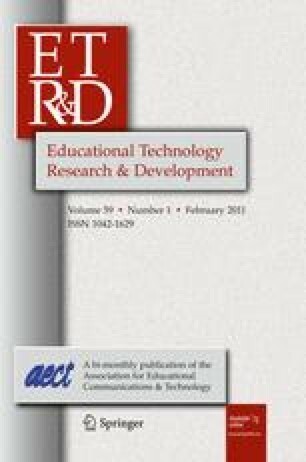 Visual perspectives within educational computer games: Effects on presence and flow within virtual immersive learning environments. Instructional Science. doi: 10.1007/s11251-010-9126-5. Short, E. (2001). What’s IF? Retrieved October 15, 2005, from http://emshort.home.mindspring.com/whatsif.html.